Thing 1 is six years old today. She has come a long way from that fragile premature baby pictured above. When she was born, she weighed just over five pounds and had to have intestinal surgery the night after she was born. 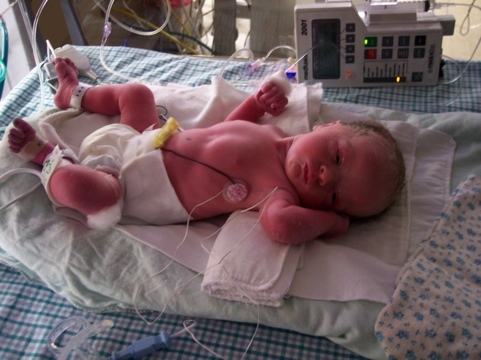 She ended up spending a month in the neonatal intensive care unit before she finally came home. That was an extremely difficult month, wondering if she would be alright and when we would be able to come home. Today, except for the scars on her belly, you would never know what a rough start she had. She excels in school and has a wonderful demeanor. I really admire her inquisitiveness and drive to learn. She continues to amaze her mommy and me with her cleverness and wit. She is truly a delight and I am so proud to be her daddy.